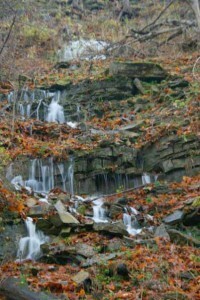 Mountain Spring Falls has three vertical drop sections and cascades. Its crest width at the top is 8 feet (2.4 metres) and its total height is 50 feet (15 metres). Its water source is some form of karst system, as seen by the opening in one of the photos below. 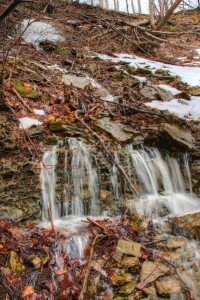 The flow from Mountain Spring Falls empties into Davis Creek. 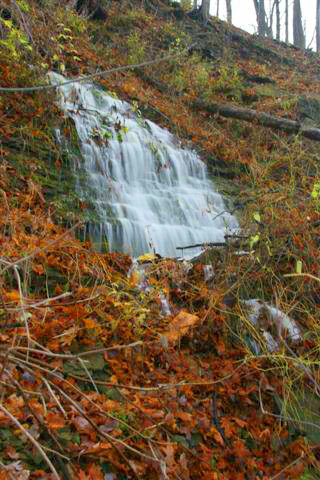 Its GPS coordinates are 17T 0598464 4784239. 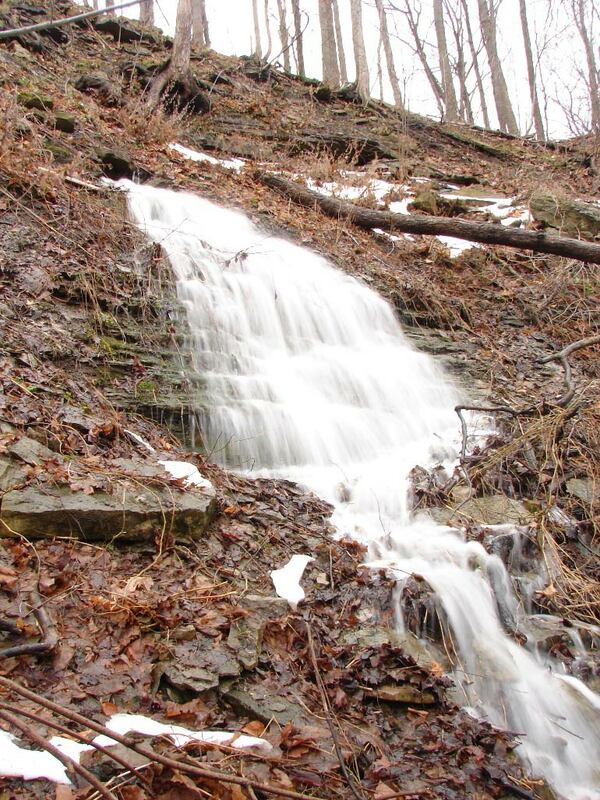 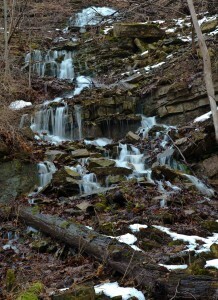 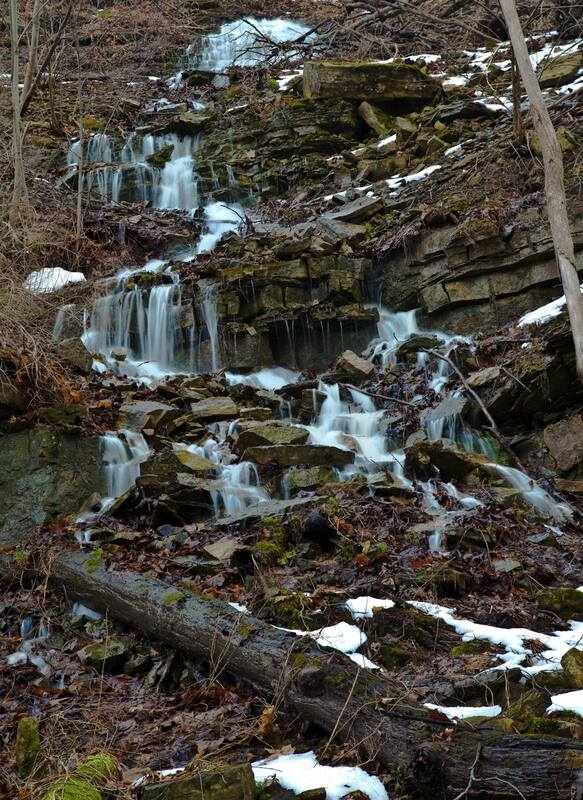 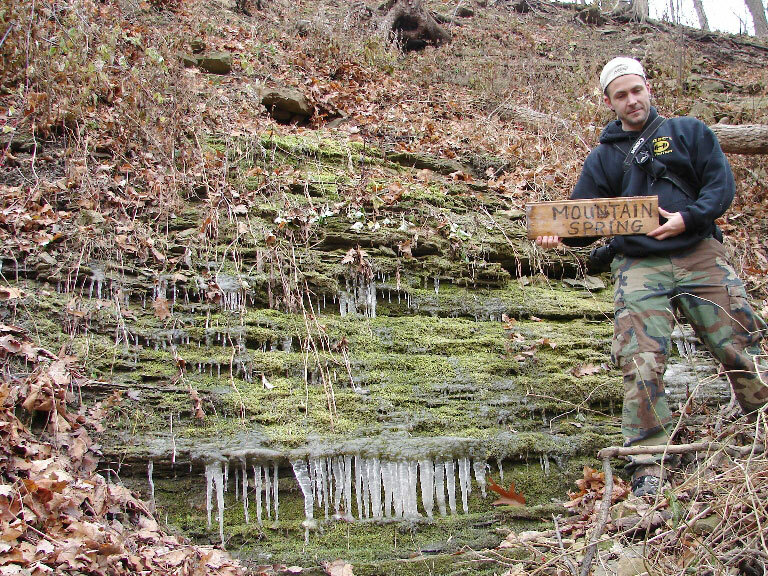 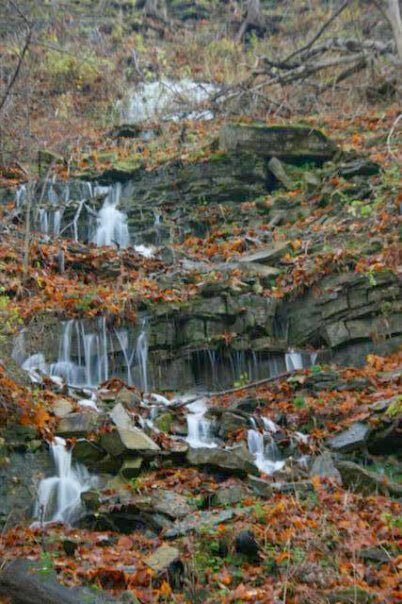 Mountain Spring Falls was discovered by Jeremy Shortt with some help from Jordan Allen. 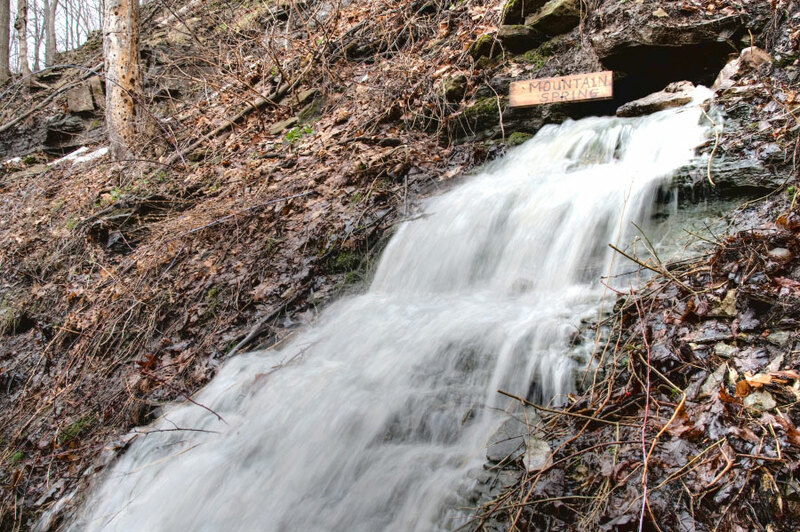 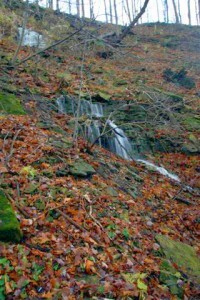 It obtained its name after Phil Armishaw found a wooden board bearing the words ‘MOUNTAIN SPRING’ on the slope where the waterfall is located. Mountain Spring Falls is located about 100 feet south of Taro Falls.